I’ve given up smoking now for more than two years. That’s not to say I didn’t have a couple of ‘naughty’ odd puffs here and there along the way in the first year, but these days, I’m smoke free. Most of the time I feel pretty good about that. I’ve saved an enormous amount of money, my children and husband are very happy and my health is much improved. Regardless, in the last month – (yes, I blame FEB FAST!!) – I suddenly and inexplicably started feeling like smoking again. Perhaps it was being with friends who smoke socially? Perhaps it was because I wasn’t drinking alcohol that I was looking for something else that qualified as ‘naughty’? 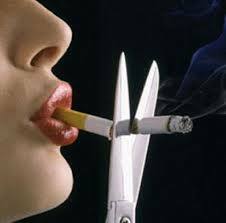 Whatever the reason, I was seriously weighing up the pros and cons of perhaps just smoking socially – and we all know where that leads – when I came across an anti-smoking ad. This may be old news to some of you, but I hadn’t seen it until yesterday. And how timely. 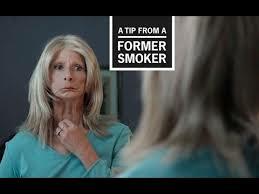 It’s one of the most powerful anti-smoking messages I’ve seen. Such a beautiful teenager, vibrant and full of life, Terri had her first cigarette at 13 and became a full-time smoker at just 17. First diagnosed with oral cancer at the age of 40, she then survived ten cancer diagnoses before succumbing to an 11th – after a year of chemo – at the age of 53. Terri spent much of her last years travelling across the United States speaking to adults and teenagers about the dangers of smoking. Her message is still coming through loud and strong.